The first photo of a Massenza drilling rig dates back to 1921. Since then every drilling rig has always contained innovations. 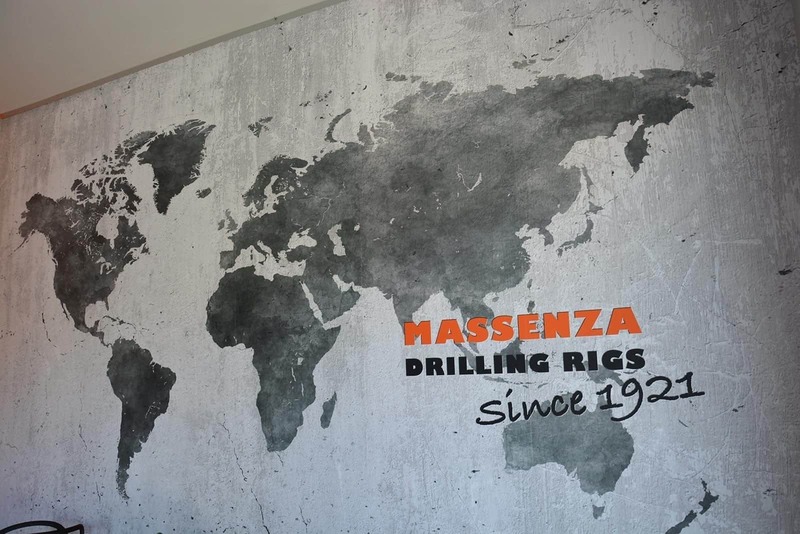 Massenza was among the first companies in the world to switch to hydraulic solution, historic moment that has completely changed the way of drilling, achieving performance not possible with the old mechanical rigs. We were the first to adopt the solution with two diesel engines to operate the drilling machine and air compressor. Now this solution is adopted by many companies, due to the savings in fuel that it allows. Our customers know they can trust our machines. They know that they will always succeed finishing the job. That's because we take care of the technical details, we rely only on best manufacturer of hydraulics components and because our machines ARE SIMPLY MADE TO LAST. We use only the highest quality components. Our prices are competitive because we are structured in a flexible way: we perform the entire design and assembly process in our warehouse. All mechanic productions are left to specialized companies located near our headquarters. This makes us more competitive. Massenza is a family-run company. The customer knows that he can have a direct relationship with the owners: no filters and no bureaucracy. Working in this way is MUCH MORE SIMPLE !!! Every customer has specific needs and that's why Massenza designs customized solutions. Our after sales service is active 24 hours on 24 and 7 days out of 7. Each drilling rig that leaves our factory is equipped with an SPARE PARTS MANUAL WITHOUT EQUAL in terms of clarity and simplicity. Each component is designed in 3D: order a replacement will be easy, no loss of time or mistakes.